Balance is the name of the game here in Cayucos and this itinerary has it all. You’ll see the sights, taste the local fare, and delight in the variety of our favorite coastal hideaway. This fun-filled itinerary is loaded for the daring and young at heart. It’s all about you and your adventure, after all! 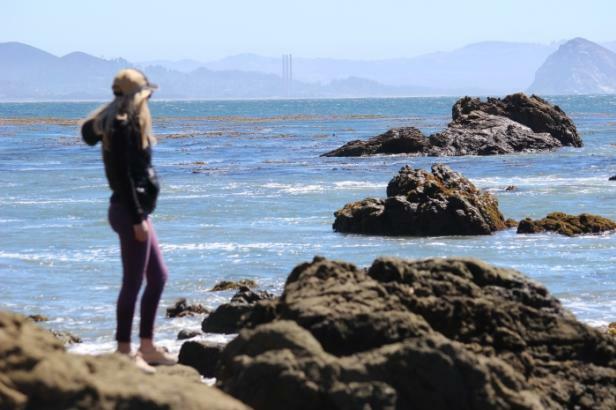 As you journey through Cayucos and discover the unique hidden gems of this haven, just remember: dreaming of your next getaway at Shoreline Inn is encouraged. 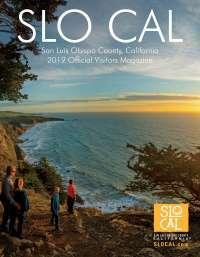 Check-in time at Shoreline Inn is at 3 p.m., but if you happen to arrive in Cayucos early the front desk can provide you with maps you can use to begin exploring the town-and every great adventure starts with a map. Kick off your trip on a high note, and be ready for views like you’ve never seen before. Learning how to fly could be easier than you’ve ever imagined with Natural High Paragliding. Take a lesson to learn how to soar on your own, or book a tandem flight with a certified, highly-experienced pilot and simply enjoy the ride. Fish, surf, and take in the views. 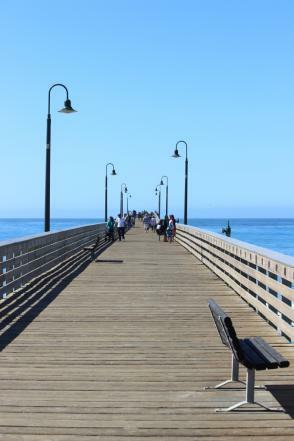 A large variety of fish and shellfish can be caught from spots along on the pier, with the coveted perch being plentiful at the tip of the pier. Though the waves are unpredictable here, surfers love this hang-ten town, home to some of the best surfboard craftsmen and surf shops in the country. Sheltered from the prevailing northerly winds, Cayucos is a bit warmer than nearby beaches, providing many days of rideable waves for the novice and veteran surfer alike. The pier is also a great place to stroll, watch the surfers, and scout for whales, dolphins, otters, seals, and birds. Relax, recover and reflect on today’s adventure. Illuminate Spa offers a number of treatments, including full-body detoxifying steam sessions, various massages, body treatments, lash extensions, makeup services for weddings and special occasions, and an adorable boutique. They can accommodate couples and groups, just be sure to book in advance. The best conclusion to this adventure filled day: pasta and a glass of Central Coast red. Café Della Via brings a little touch of Italy on the Central Coast. Not only do they offer a wide variety of traditional and fusion dishes, they host a handcrafted list of excellent wines to enjoy alongside your meal. From the moment you step through the door, you will feel welcomed—come la famiglia. Fuel up for fun. 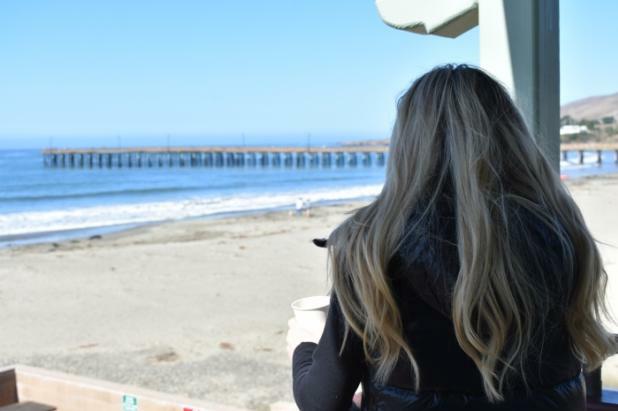 The Sea Shanty, located in Downtown Cayucos, allows you to enjoy the ambiance of this quaint beach town as you watch the sun rise over the ocean. This local favorite is open for breakfast, lunch, and dinner. This surf shop has it all, but the kayak tours are especially unique.Their guides take you to pristine hidden coves and unspoiled beaches seldom seen by visitors. Sea lions, otters, dolphins, and even whales are likely to be a part of this once-in-a-lifetime tour. All equipment is provided for you, which means this true outdoor adventure is ideal for the experienced paddler or first-timer. Small town feel, big time flavor. Duckie’s is a great place to visit, relax and enjoy the flavor of this small California beach town. They serve outstanding seafood, sandwiches, beer and wine—but the chowder is everyone’s favorite! Breathe deeply and take it all in. Nature abounds on the Central Coast. Estero Bluffs offers access to secluded beaches where you can find some of the best tide pools in the area. From December through March, visitors can see migrating whales from the bluffs. Take in the panoramic views as you hike through this peaceful park, open from 6 a.m. to sunset. 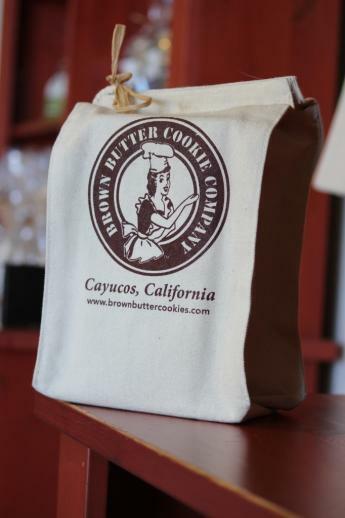 Follow your nose to Brown Butter Cookie Company. A cookie sample is hard to resist, as you can see their dedicated family of cookie makers meticulously rolling each cookie (just like how grandma used to make them). One taste of this delicious sweet and salty treat and you’ll see how this humble cookie factory in the beach town of Cayucos made a name for itself nationwide. Lunada is located in the Historic Way Station, a property that dates back to the founding of Cayucos. Their main dining room was built in 1876 and formerly housed weary travelers on their way along the coast. William Randolph Hearst stopped there often before his famous castle was completed a few miles up the coast. Today, the property includes beautiful gardens, as well as the family-owned bistro and coffee house. Step into the bakery kitchen at Cass House Cayucos and pick from a selection of baked goods warm off the rack. Enjoy your breakfast in their covered patio, or take your delicious treats to the beach for breakfast with a view. The Bakery is open from 7 a.m. to 1 p.m., Thursday through Sunday. 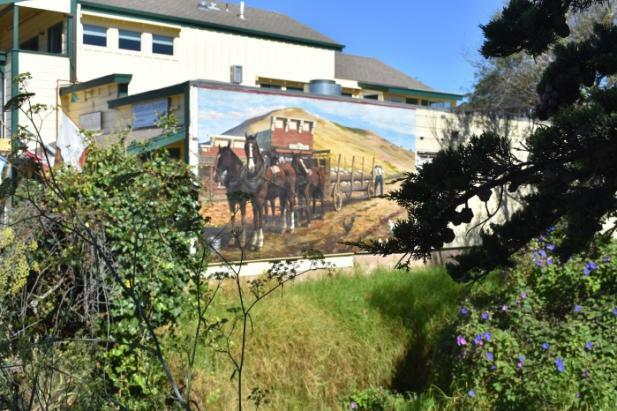 There are nine murals hidden throughout Cayucos, depicting the area’s rich history and beautiful scenery. Use your Shoreline Inn map to find them all! Stretch your artistic muscles before you hit the road. 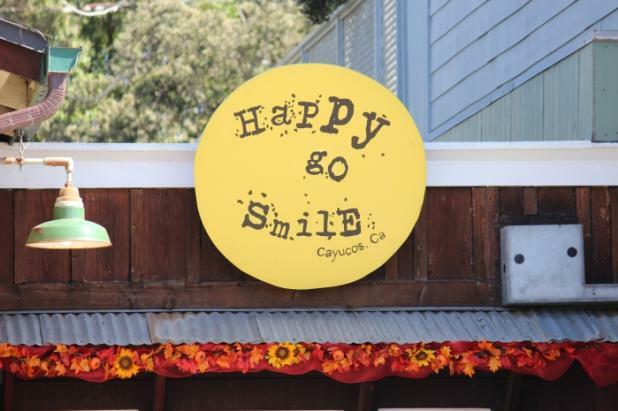 Happy Go Smile has been offering fresh-baked cupcakes, eclectic clothing and art classes for locals and tourists since 2013. Group classes are Saturday from 9 to 11 a.m., but you can book a private class with four or more people. Here is where you’ll find owner and chef “Smoker Jim” Ruddell’s unique, savory, and indescribably delicious smoked foods. Jim has been perfecting his recipes since 1980. All smoked items are made only from the freshest locally produced meats and poultry, and the fish is straight from local docks. For seasoning, Jim combines the finest herbs and spices with the most aromatic woods to create a blend of flavors for which his smokehouse has now become famous.